Different types of flooring exist including cork, laminate, and linoleum flooring. Others are vinyl, wood, and industrial floors. They all have distinct uses and installation processes. For example, industrial flooring happens to be a suitable floor for warehouses because it can withstand an enormous volume of pressure. This resilience does not happen by accident. Instead, correct installation gives rise to it. You can do it correctly as well if you follow these 5 tips to installing a floor in your warehouse. A concrete slab accounts for much of the warehouse floor. This slab is massive, and it supports weighty machines in addition to the products that the warehouse stores. It is worth noting that all of them lie on the subsoil. That means the soil beneath must be firm enough to support the slab and everything that sits on top of it. This firmness must be permanent. Otherwise, structural problems with arise in future. Test this firmness several times before you start the installation process. 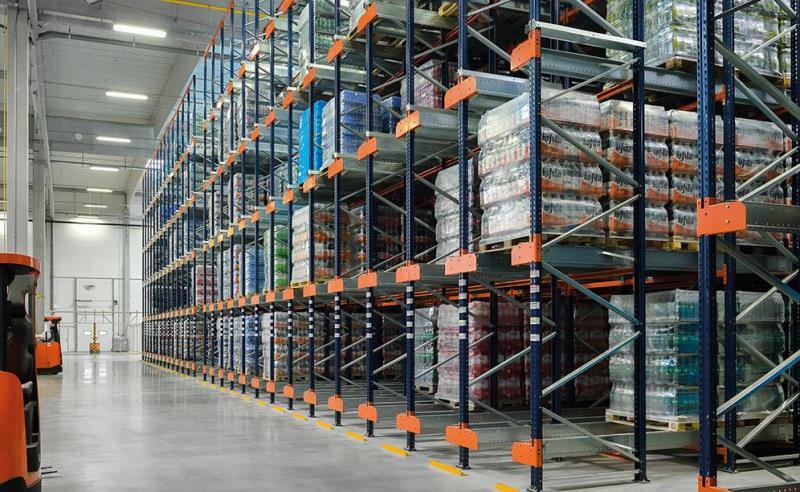 The ratio determines the strength of your warehouse floor. That happens because the proportion of each compound affects the characteristics of the resultant concrete mixture. For example, the concrete used to make this floor will be workable if this ratio is correct. The aggregates will be clean and structurally sound as well. In most cases, 3.1 gallons of water is enough for one sack of cement. The concrete’s level of strength will diminish if you change this ratio. Curing refers to the hardening of concrete once you pour it. Hydration is a part of this process. It occurs when the water in the concrete mixture blends with the aggregate and cement. Blending results in a chemical transformation that provides the ideal level of strength in the slab. It is worth noting that the concrete will lose this strength if the slab’s surface dries. Therefore, wet curing with covers is the best method of curing for warehouse floors because it prevents this loss. Using a shot blasting machine is the best way of removing dirt and other unwanted materials from the floor. Shot blasting machines clean the warehouse floor by propelling abrasives using a centrifugal wheel. These abrasive remove impurities on the floor’s surface. It also adds texture to it the adhesion between the coating and the flooring. It increases the life of the finishing, and it leads to reduced maintenance costs. Therefore, shot blasting is critical to adding a successful layer on the floor. This flooring makes it easier for you to clean the warehouse floor. It also helps when it comes to handling foot traffic and heavy machines. However, not all epoxy resin-flooring coats are ideal for these purposes. The best one to go for is Pumatect from Resdev. Factories, warehouses, and showrooms use this product already. Packing areas and food preparations rooms can use it as well.